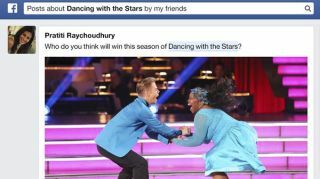 Facebook is testing out the Graph Search functionality for mobile devices, according to at least one user who is seeing the update land on their handset. The limited was first reported by a Mashable scribe this weekend and follows Facebook CEO Mark Zuckerberg's recent vow to bring the contextual searches to mobile users sooner rather than later. During last week's quarterly earnings call the CEO said: "We're really early in the game on this. You can see that because we haven't even really rolled out our mobile version of graph search yet and we're a mobile company. "Pretty soon, you should expect us to roll out the mobile version of this. I think that's going to be an important step because most of the usage of Facebook overall is on mobile." The enhanced search took, which allows users to discover posts, photos, restaurant recommendations and more rolled out to all users in July last year. It's a fairly decent tool for finding photos of you and your friends, your friends who live in particular cities, or even friends who've been posting about certain subjects. As Zuckerberg said, the company is 'early in the game' with Graph Search and it'll only improve as time progresses. That improvement will continue with the wider roll out on mobile devices.